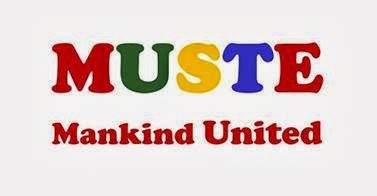 The Mankind United To Support Total Education (MUSTE) is a Scholarship arm of Youth Empowerment and ICT Foundation; it was registered with the corporate affairs commission in Abuja Nigeria on the 17th of November 2003. It is founded and funded by Mr. Jim Ovia in the year 1998, to provide financial aid to outstanding Nigeria youths. The Mankind United to Support Total Education (MUSTE) program is for undergraduate and higher degree studies only. • Higher degree applicant must hold a bachelor’s degree or the equivalent, and have at least two years of recent full time professional experience, acquired after a university degree. • Present one personal reference letter and one academic/professional reference letter. All recommendation letters must be duly signed. • Higher degree applicant must include a cover letter stating “Why they intend to pursue a higher degree” (Not more than 250 words). • A monthly subsistence allowance, for living expenses and books. • Expenses for the scholar's family. • Expenses related to research, supplementary materials, field trip or workshops while at the university. • INTERNATIONAL OR LOCAL TUITION FEES THAT EXCEED THE BURSARY AWARDED. This is a bursary of a fixed amount regardless of the tuition stated by the school. In addition, • The scholarship awarded is valid for the academic year immediately following the offer of the award and cannot be deferred for any reason. • Should you be granted the scholarship, your progress report is required at the end of every academic year as well as your annual academic results. These should be sent in prior to the renewal of your scholarship. • The MUSTE scholarship only supplements and does not duplicate any other source of financial support the scholar might have. However, scholars must inform the Board of MUSTE if they have other sources of scholarship funds. * Your mobile number used in your application is your access to take the test. -If you did not enter the correct phone number, you have automatically disqualified your application. please, how do i become a registered member of the foundation as it's one of the requirements? Please note that registration as a member of Youth Empowerment and ICT Foundation is no longer a pre-requisite. @olsey. Is the personal reference letter meant for undergraduates or postgraduates? Нow do i become a registered member of the youth empowerment and ICT foundation member? How do I become a member of Youth Empowerment and ICT Foundation? to whom am i 2 address d letter & 2 which address.tanks. My name is David Abimbola Omowumi,a nursing student of ladoke akintola university of technology,300level pls how can i join d youth empowerment and ICT foundation? Which kind procedure be this nah?! Na die!...don't think I can register anyway. no be say you talk, the procedure is too long and the requirements are ridiculous. I do i become a member of the stated foundation? You can use a letter of identification from your department as an alternative. And if you can't get that since schools are on strike, you may just opt for your course forms or higher document with your passport photograph. Can the academic reference letter be written by a lecture of the university where one is currently studying? Please, is it possible to provide a departmental association ID card instead of the school ID card? Just incase I'm yet to collect my school ID card. Please, I'm very much interested in this scholarship program. That will depend solely on the discretion of MUSTE's verification officers. pls nw dat ASUU are on strike hw can we get d form stamp n sum oda tins dat dmands d attention of a lecturer? Plz idon't really understand what's happening,when it comes to filling of the MUSTE form,it refuses to go to the next page even after giving them all they required and writing the essay they asked me to write...infact it's really annoying bcuz ​it took me time and money to do it and. It refused going. to the next page for me to finish.plz. the MUSTE team should do sth about it if really they want students to apply. Sorry to hear that. Why not try changing your browser? That was what I did. I saved the typed essay in one notepad, so I could just copy and paste. You can use Mozilla or Google Chrome. As we are on strike, it won't be easy to get the reference letter, is there an alternative? Am happy to see MUSTE again this time,I applied in the last edition and having done all what is required and mailed it to them,we waited even to this day we cant find any list to show who they really awarded the scholarship and even no such information on their website and am not mailed at all either am shortlisted or need to write any exams after that rigorous process to fill their form and it is even very expensive b4 u finish all the scanning and the likes and here comes another one here,I hope this one wont be like that one o. If your lecturer agrees, yes you can. Typing it would be better if that is what you want to do. You should visit it on a PC. Hi, just wanted to ask concerning those interested in doing their m.sc abroad with the aid of the MUSTE scholarship.Most universities open their portal for 2014 admission by november/december 2013. So its really not possible to secure admission before then.Is there any thing that can be done for M.sc applicants.Also, is it possible for us to know what amount of money available for tuition sponsorship so we can know what universities to apply to in which their fees falls under the limit? Regards!!! dear admin, pleas how do I go about the personal reference letter? do I give to some one to write or what? It means your essay should NOT contain more than 250 words and not less than 10 words. @Skuri, that you think you're perfect or in anyway better that other Undegraduate's who you term unable to Constructively make perfect Comments not Statements as you earlier implied, Shouldn't create room for impudence and insults. and moreover I'll still Correct your statement. its not Monies, its money. and please its not "Undegraduates", I'll deem of respectable and polite if you had said,"most,few or some undegraduates". If you did your general studies core course well, you'll recall that your referring to all undegraduates as being unable to Constructively make a sentence would be termed as argumentum ad Numerecia, and its very not polite. please learn how to address people in public, even if they're intellectually below your level. it wouldn't cost you a diam if you correct these inqusitive folks politely without hurting their feelings. please and please read what you type, put yourself in the position of your contemporary before posting. Please how can i submit these requirements,its difficult 2 get an academic reference letter because of the strike. how much is the worth for medical students? I finished everything bt the uploads I made had to load before the application is successful. It was then that it fail. What's d problem pls? I just spend too much in the café. Dont know what next to do. I had finished al d procedures bt to submit. The documents had to load for it to get successful. It was then that my application failed. Hmmmmmm... What's wrong? i had to convert all documents to PDF before i was able to submit my application. please can some one who wrote jamb and hav not goten admision yet, apply? Please does this question Make any sense ? Hey guys. Has anyone received a mail from MUSTE Scholarship Board lately? Ok. Did you apply as an undergraduate or a postgraduate? Seems shortlisting by the MUSTE Scholarship Board is in batches .I am yet to receive a mail. Anyone with an explanation? I wrote the test but had 70%,looking up to God to be an awardee. Based on what the board decides, i hope the mark is a very standard and acceptable one. But the test asks for you name and password provided by muste. Can't remember seeing it ask for email tho . please what is the format of the exam. is it mathematics or english. please help. pls olsey,i was nt given pasword & d page was asking of password,pls wat can i do pls kindly reply fast, d time remains just 1hr.plssssss. plz d site is requesting for password. Which password? Please i need more information concerning tution as relating private institution. Hello Admin . I checked my spam message yesterday to find out I actually got the scholarship . Its 3 months now , I don't know what to do . I have been trying to call them but their number is forever incorrect. What should I do . Or should I forfeit the scholarship ? Or should I go to their office. Their website isn't of much help and I havve sent countless emails.